Expanding operations is a milestone that any entrepreneur strives for when starting their small business, and one of the most exciting trends occurring in the small business sector over the past few years is the increased financial and operational security that owners are reporting. According to the Small Business Association, the rate of small businesses failing is drastically decreasing. When compared to larger corporations that have eliminated more than 4 million jobs since 1990, small businesses have added at least double this amount of positions within the same time frame. The definition of growth for small businesses can be as unique as the businesses themselves, but tends to stay within a few general themes. Most associate growth comes with opening a new location or expanding existing operations as current space and capacity allows. Goals for business growth can also include securing a certain level of financing, reaching a new level of exposure within your target audiences, or even being acquired by a larger company. The goals of owners may vary, but proper preparation is always the key to business growth and success. Each industry and business model is different, but all require a mixture of the right timing, target audience, development and patience to know when to start taking steps towards growth. There are a few common signs across the diverse fields of small businesses that owners can use to gauge the difference between desire and necessity for operational growth. Taking an honest look at the demand for your small businesses product or service is critical in estimating the future impact of expansion. Taking the time to accurately estimate the future demand of your business can help keep you in the green and determine the best future for your company. Forbes reported that as of 2013, half of the small business firms in existence have survived for at least 5 years. Identifying the key factors in what drives the demand for your business can be the key to unlocking the best plan in moving your business in the right direction. Address the rate you are currently receiving new leads, and the sources of their business referral. If you’re gaining new business easily based on lasting resources like long-standing partnerships or through a strong reputation, then you’ll be able to forecast the strength of the niche market you’ve created for your brand. The strength of your expansion will rely heavily on the foundation created with a loyal following versus a current trend, which makes this analysis one of the most important factors when considering growth. Having more business than you can handle is a problem that most small business owners would love to have. When the issue becomes consistent for a long period of time, then you have to consider where your operation can improve. Before jumping to expansion plans, consider other options that could address the lag in your process through a potentially more affordable solution. Growth isn’t something that happens overnight. Current entrepreneurs have more access to advanced technology than ever before to help analyze their needs and next steps, and it’s important to weigh your options wisely. Some of these alternative solutions might be a short-term option before expanding into another location, or on the flip side may highlight the need for taking the next step to grow your operations and make the big expansion move. An important step in preparing for growth is creating an action plan before excessive demand begins affecting your revenue or your business’s reputation for reliability. There are a variety of resources available to business owners to help create successful business plans. Getting advice from trusted mentors within your field can help owners find out where to start, plus there are software resources to help organize your business’s big picture goals to share your vision with other entities. 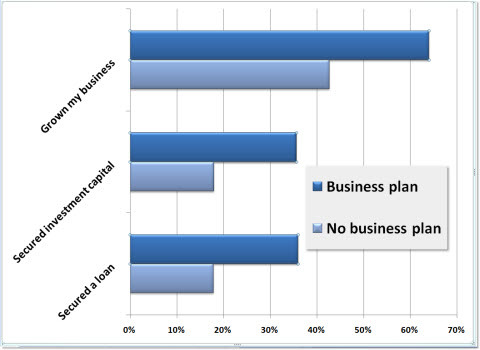 The following chart is taken from a study presented to the University of Oregon Department of Economics asking business owners the usefulness of a particular business planning software in assisting them toward their growth goals. On average, the responses showed that proper business planning and forecasting helped owners double their chances of reaching their goals, while those that did not prepare a business plan did not fare as well. Aside from losing potential sales, another critical sign that your business may need to expand is when maintaining the quality of your outcome becomes a struggle. The future of any small business operation can only be successful as the current perception of the quality customers rely on. If your small business has the resources to maintain the current operation at your expected standards while transitioning into an expansive phase, then this may be the best plan to put into action before your reputation becomes damaged by an inability to provide services or fulfill orders. 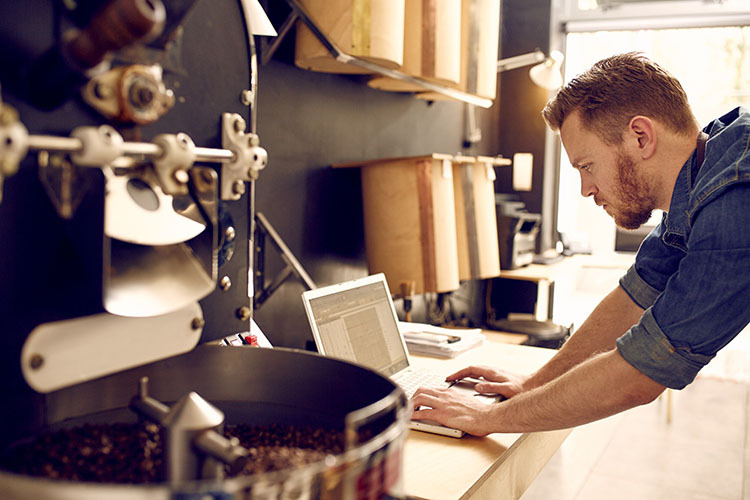 Some small business owners may also fall on the other end of the spectrum, where their business data supports the potential to improve the quality of your product or services. If your customers or research indicates that quality control issues exist, it’s best to correct the issue and ensure you’re running smoothly before taking steps toward growth. This ensures you’re going to have the reliable demand discussed above to keep your business afloat on a larger scale. When your business is able to maintain financial health for an extended period of time, then it may be time to invest in growth opportunities. Utilizing the business banking expertise of a Seacoast Business Banker can help you feel secure in your decision to grow, by sitting down and reviewing and discussing your business’s financial state and potential future growth and earnings. Business Line of Credit – From managing unexpected costs to covering seasonal ups and downs in earnings or planning for a large project, a business line of credit allows you to cover the costs you need to continue striving toward your goals. Commercial Real Estate Owner Occupied Loans – Whether you’re considering a brand new location or looking to overhaul your current facilities, this loan may be a great fit to meet your needs. Equipment Loans – Investing in new equipment may be more efficient through a repayment plan with low fixed rates that give you the flexibility to pay back the amount over time. Business Consultation – If you’re not quite sure which, if any, of these solutions would be the best fit for your business’s needs, a Seacoast Business Banker would be happy to discuss your options with you and provide more information to help you make an informed decision in the best interest of your operation. If you, have questions sparked by the discussion above or are looking for some insight in regards to your own small business development, there's no better place to find it than from a seasoned small business owner, banker and professional - Don't miss your opportunity to ask Seacoast's Executive Vice President, Small Business Banking Leader, Julie Kleffel any question you'd like about small business in the form below.